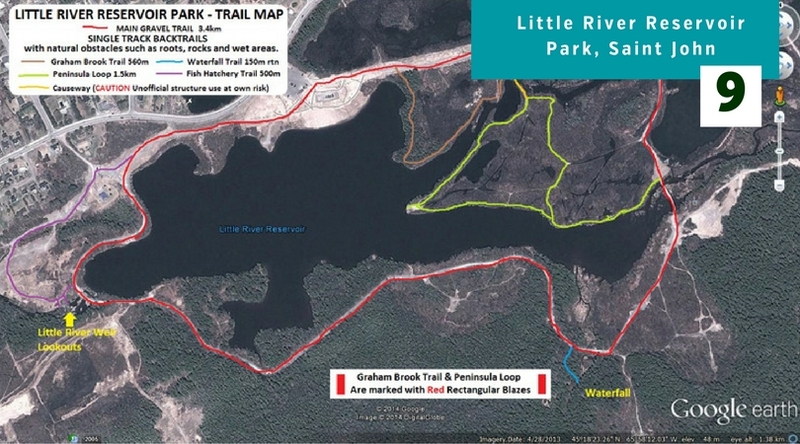 The Little River Reservoir is a jewel in the City of Saint John and is becoming a mecca for runners and swimmers as a great place to train and race. Our Ultra will take place completely within the park on a traffic free, crushed rock, flat course over a 3.3k looped course with spectaculars views of the park and lake and an elevation change of only 10m. The nature of this short loop will make it easy and safe for runners to obtain nutrition and see friends & family each lap. The final number of runners will be limited to avoid saturation in the park so please register early. Thanks to Andrew Wagstaff of Maritime Runner for the great race review which can be found by clicking here. I just wanted to send this quick email to thank you for organizing the 52k race. I thought it was well organized and a great experience. The third place prizes were also items that I wanted to purchase eventually anyway. Here are 10 great reasons to race an Ultra with us. 1) All finishers will receive a beautiful Medal / Gift. 2) Beautiful location and scenic course. 3) One of the fastest routes / terrain you can possibly find if you are seeking a Personal Record for 50k. 4) One of the flattest routes if this is your first Ultra. 5) Gravel trail makes running a little easier on the body. 6) 3.3k per lap makes it easy to see friends and family – no long meandering course for hours on end. 7) One amazingly stocked aid station per lap makes access to food and drinks easy and we can keep any special foods/drinks for runners at the aid station for quick access each lap. 8) Great camaraderie on course amongst runners on the looped route. 9) Impossible to get lost – once you complete loop 1 – repeat until the end. 10) We will allow 1 support runner after the 5 hour point to bring you home. No support runners prior to this point. (no pacing of any kind will be allowed prior to 5 hours). No littering on the course. What you bring in, take out with you. If you are caught you will get an infraction ranging from a 15 minute time penalty to disqualification.